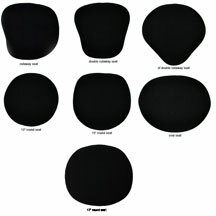 Concert Design first to provide multi-adjustable ergonomic bass stools for musicians of all orchestra bass sections, as well as individual bassists. 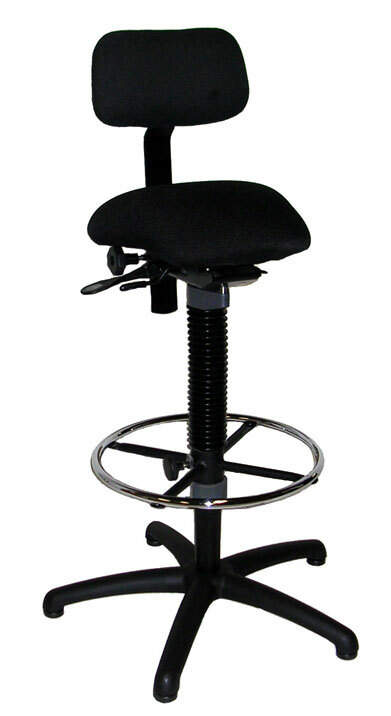 Timpanists enjoy the extra height available with this stool; available swivel or non-swivel; double cutaway seat designed for best comfort. 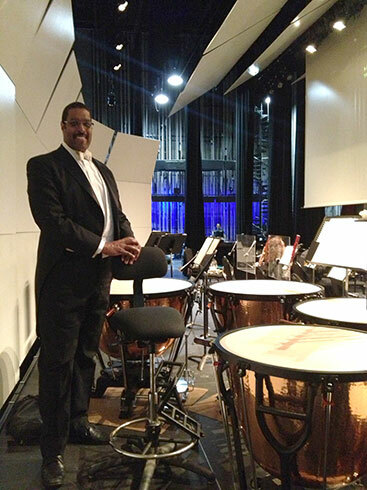 timpani’ basso chair non-swivel, with double cutaway seat, shown with 8″ extension hub. * seat mechanism in conjunction with the gas shock and the design of the back uprights provides the multi-adjustability of height, gradient and back support. * additional PVC clamp prevents foot ring movement. * additional PVC anti-bounce clamp prevents shock bounce. * height 24″- 33″ (56-81.3cm) with 10″ (254mm) shock. * height 30″- 38″ (71.1-96.5cm) 8″ (20.3cm) extension. * height 32″- 40″(76.2-101.6cm) 10″ ( 25.3cm) extension. * anti-bounce clamp raises lower height by 1.5″ (3.8cm). View Timpani Chair non-swivel with 10″ hub. ‘concert’ timpani chair swivel only – with double cutaway seat, shown with 8″ extension ‘timpani’ stool with double cutaway seat. * height 22″- 33″ (56-81.3cm) with 10″ (254mm) shock. * height 28″- 38″ (71.1-96.5cm) 8″ (20.3cm) extension. * height 30″- 40″ (76.2-101.6cm) 10″ (25.3cm) extension. * anti-bounce clamp raises lower height by 2″ (5cm). All the same features as our ‘concert’ Basso. We recommend two extra-tall adjustable foot supports. View Timpani Chair swivel with 10″ hub. Top view of the ‘concert’ basso and ‘gig’ molto stool seats.